The Parks and Recreation department are planning future recreation programs, and seek citizens' feedback. The results from the short survey will guide 2017's programming. What kind of programs do YOU want to see? Let us know! You may know that it is illegal to place branches and unwanted yard waste on Town and CDOT right-of-way, but did you also know the right-of-way adjacent to private property is the responsibility of the property owner to maintain? While the Town has received a grant to fund a temporary code enforcement officer, keeping the entire community kept up, clean, and inviting is the responsibility of all community members. 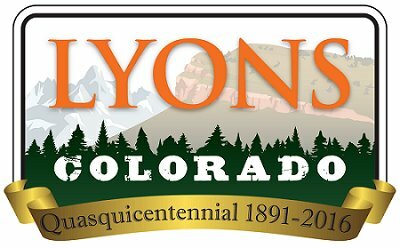 The Lyons Municipal Code has numerous laws placing responsibility on property owners and residents, to keep not only private property clean and nuisance-free, but also to maintain the public rights-of-way adjacent to the owners' property. As part of this planning process, the LPPA has been broken out into three small areas: the Eastern Corridor & Gateway (Phase I -completed); South St. Vrain Area (Phase II); and Apple Valley (Phase III). Phase III will include 3 public workshops focused on the Apple Valley Planning Area. The LPPA includes parcels that are currently outside of Town limits, but within an area which has been designated as appropriate for future annexation and development according to the Boulder County – Town of Lyons 2012 Intergovernmental Agreement. McConnell Bridge has been designed up to 30% and is waiting for FEMA to approve the bridge and road design. Upon FEMA's approval, the final design – which will include paving McConnell Drive – will be completed, and construction will be scheduled. The McConnell Ponds are a part of the final Parks Flood Recovery project, following LaVern M. Johnson and Bohn Park. Currently, LaVern Johnson Park is anticipated to be complete by the end of Summer 2016, and depending on cash flow, construction for Bohn Park is anticipated to begin Fall 2016. Once Bohn Park construction is complete, the final design for the McConnell Ponds will be prepared and construction will follow. As the road work and construction projects are underway, the safety of the work crews remain the first priority of Town and its contractors. 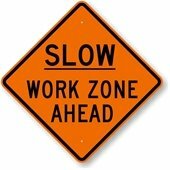 Please be vigilant of the crews, and drive slowly through the work zones. Xcel's contractor, Sitewise, is set to finish gas line installation this week. Following gas line completion, DeFalco will pour curb and gutter and lay asphalt, after initial prep work. Project leads estimate roughly 2-3 more months of work, once DeFalco begins. The final round of planting and revegetation along the creek will begin the week of July 18, and take approximately two weeks to complete. Following the revegetation, an irrigation system along the banks will be implemented. During this time, please consider the delicacy of the new plantlings - give them a chance of survival by staying off newly vegetated areas. We sincerely appreciate your support in this effort. CDOT will be hosting a public meeting on July 20, which will consist of a formal presentation to educate the public about summer construction activities and lane closures along US 34, and clarify about the traffic closures associated with work beginning in October, as well as an overview of the entire project. Please join the St. Vrain and Left Hand Water Conservancy District for a discussion about proposed floodplain code amendments and the floodplain remapping process on July 14. Details about the meeting and a helpful summary page are available at the links below. The Summary page highlights the proposed updates to the floodplain code in a concise manner. It identifies where a proposed update clarifies an existing practice, is proposed to meet minimum FEMA or State requirements, or is new.